Achieving a maximum ball circle diameter and rpm multiple (dn) of 160,000, NSK’s HMS series consists of high-speed ball screws. Suitable for low-noise, high-performance machine tools, they reduce noise levels by >6 dB. 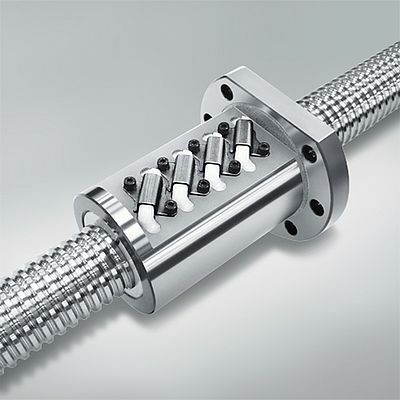 Available with spindle diameters of 40, 45, and 50 mm, the HMS ball screws come with leads of 8 (ø45), 10 (ø40, 50) and 12 mm (ø40, 50). There is also a choice between conventional spindle cooling via a hollow shaft or the integrated nut cooling mechanism. Two systems can be connected to create a high-precision tandem drive system.